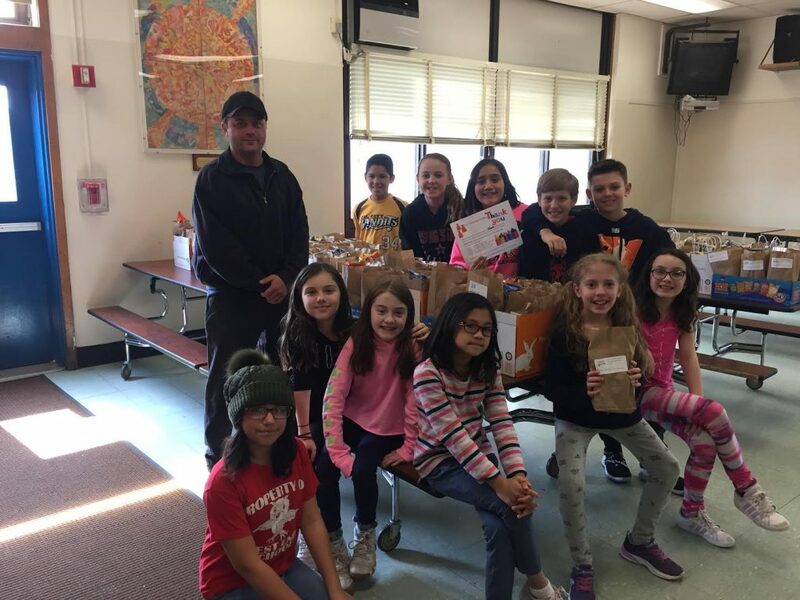 The West End Elementary School Student Council in the Lynbrook Public Schools recently presented more than 140 Gratitude Goody Bags as a sign of appreciation to all the men and women who help keep the Lynbrook community safe and sound. This included Lynbrook law enforcement, fire departments, local crossing guards and school bus drivers. With the guidance of student council advisers Lori Gus and Jackie McDougal, West End families donated water, Gatorade, snack mix, chips, chocolate, nuts and granola bars to place in the Gratitude Goody Bags for these important community members. 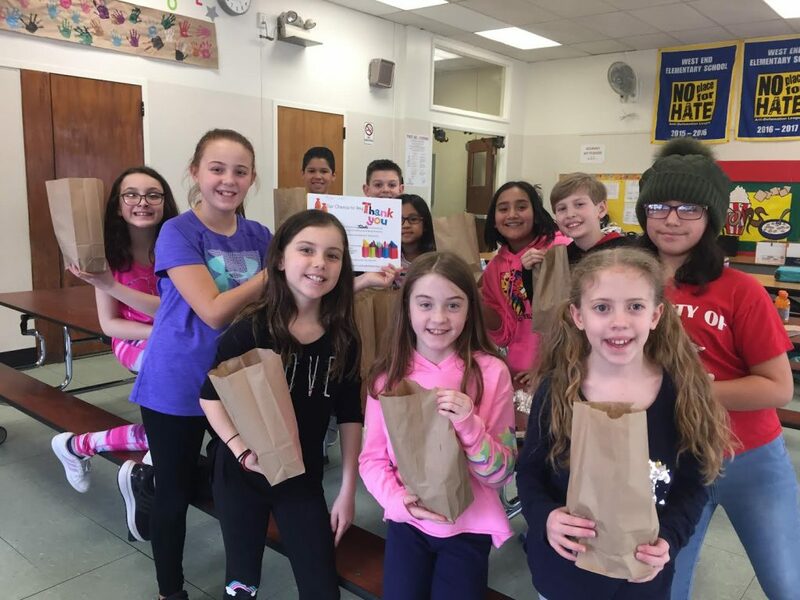 1) West End Student Council members gave thanks to local community members with Gratitude Goody Bags. 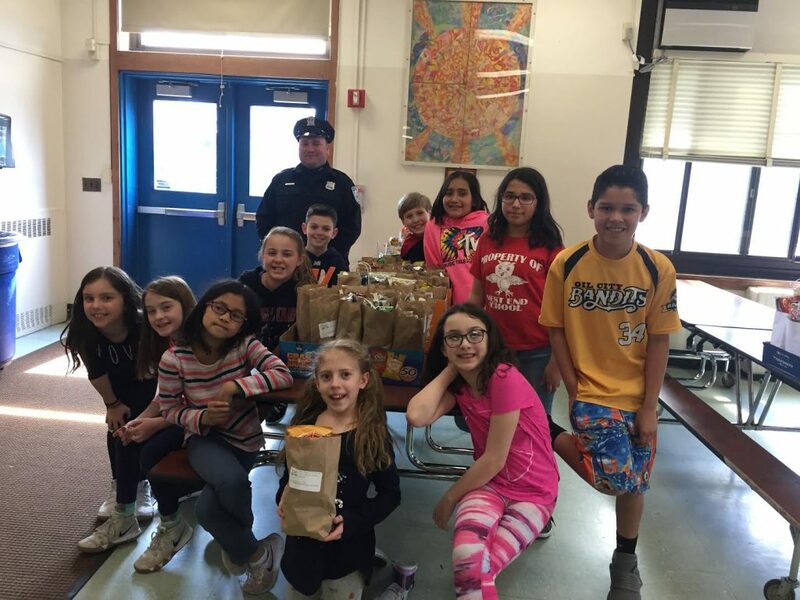 2) Lynbrook police officer Kevin Hoffman (back left) from the Lynbrook Police Department received Gratitude Goody Bags for him and his fellow officers. 3) Lynbrook volunteer firefighter Brian Brown (left) was presented with Gratitude Goody Bags for him and his fellow firefighters.